Submitted by Luz Maria Ortiz Smith. 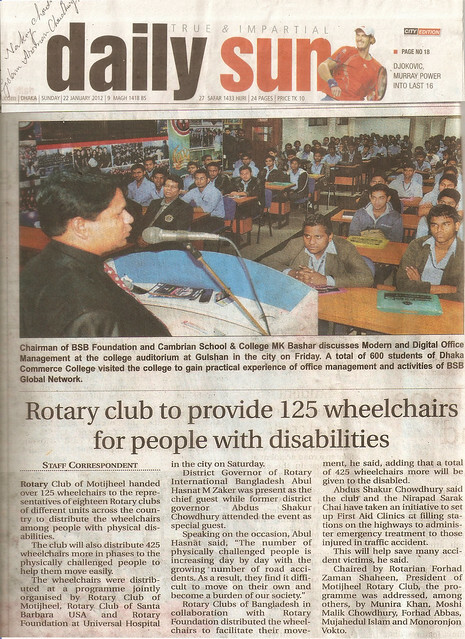 This news clipping and photo about the club’s wheelchair project in Bangaldesh are more reminders of the great international work that the Rotary Club of Santa Barbara does. We have sent three containers to Bangladesh, totaling 1,650 wheelchairs. 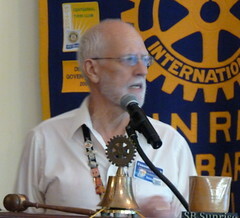 The last container was sent in the previous Rotary year. 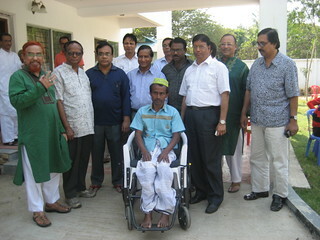 The Prime Minister is invited to participate in the distribution every time. The wheelchairs go to individual clubs so that people for all over the district can benefit from the project. While in Bangkok, Janet Napier, Connard Hogan, E. Russell Smith, David and Michelle Velarde and Luz Maria Ortiz Smith met with Abdus Shakur and Anthony. 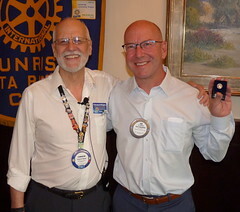 Anthony is the incoming club president of our partner club Rotary Club of Motiheel. 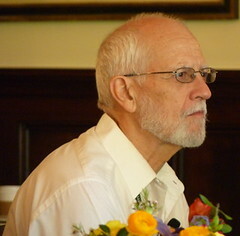 They expressed great interest in exploring a new project as we enter Future Vision in 2013-2014.